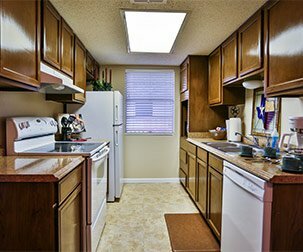 Willie Nelson, John Wayne, and Johnny Cash will welcome you into this super comfortable, spacious, two bedroom, one and a half bath condo. 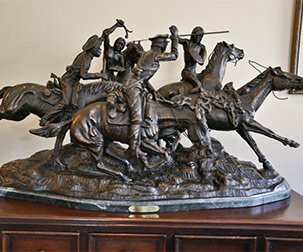 The Texan features wonderful artwork by Frederic Remington, Kerrville artist Robert Pummill along with other notable pieces and artists. The living room is furnished with comfortable leather furniture and a Texas sized flat screen television. 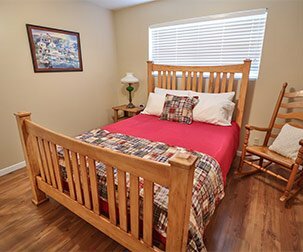 Snuggle into the super comfortable pillow top mattress atop the grand Texas Star four post king size bed in the master bedroom or the cozy queen memory foam bed in the second bedroom, with bedding in both rooms being 100% soft cotton, for that perfect night sleep.